How did the cross cultural interaction in Japan develop? And how did the concept of museums come to the East? “Rangaku” would be one of essential keys to explore the questions mentioned, and the historical data in museums further proves it being the core of the era. In this article, we’ll trace back the development of Rangaku in Japan, and how the existing museums can present the cross cultural interaction during Edo period, unveiling the part in Japanese history before the implementation of the Meiji Restoration, De-Asianization and the Greater East Asia Co-Prosperity Sphere. The term “Rangaku” 1 originated from the Edo period, meaning “Dutch learning”. It’s phrased as “Ran”, “Oranda” or “Horan” in kaiji in Japanese. For those translations who understand the language Dutch, they were also called “Oranda translators” 2, who served an irreplaceable role in absorbing knowledge from the western world in Japan. The rise of Rangaku has a close connection to the prosperous exportation business in Japan back then. In 1597, Toyotomi Hideyoshi passed away. The war between Japan and Korea was ended, which laid the foundation for the further development of international trade. The import of foreign goods had sparked quite a frenzy in pursuing exotic goods in Japan. In 1600, the first Dutch ship arrived on Japanese shores. Different from the obvious missionary intentions of Portugal and Spain, the Netherlands mainly focused on commercial activities, which enabled Tokugawa Ieyasu to approve the Dutch trade license in Japan in 1609. As the number of the Jesuits followers kept increasing, and the conflict between different sects, they had posed as a threat to the Shogunate reign, which forced the Shogunate to inhibit the development of the Jesuits. In 1637-38, Shimabara Rebellion 3 broke out. It’s the turmoil in the name of religion because of the heavy taxes imposed by officials, causing the Edo Bakufu to implement the policy of Sakoku (literally means locking up the country). 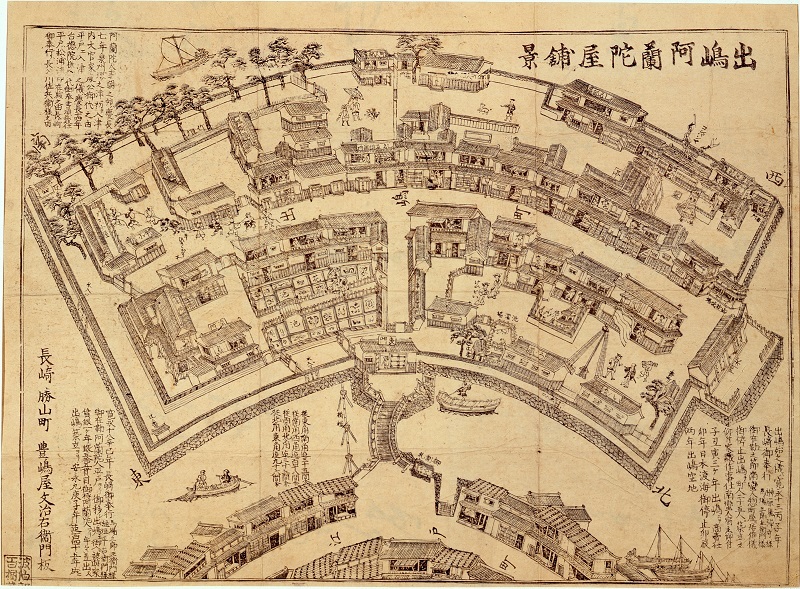 This policy forbade Japanese from interacting with foreigners, and only an artificial island, Dejima 4, located within Nagasaki was opened for conducting business between the Dutch and the Japanese (Figure 1). After the Portuguese ships arrived in 1571, Nagasaki was elevated to the imperative commercial center in Japan under the management of the Jesuits. Functioning as an important trading center, a group of translators for Portuguese, Latin and other languages had been groomed long before. After the Sakoku, Dutch translators also moved from Hirado, which was the Dutch base, to Dejima, assisting the communication between the administrative in Nagasaki and the Dutch. In the process of interaction with the rest of the world, the translators played a crucial role in communication. Tokugawa Bakufu established “Nagasaki magistrate office” (bugyo) 5, gathering information of the Dutch through translators. And they were in charge of the translation and editing of “Fusetsugaki” 6, which systematically compiled all the information provided by the Dutch about the outside world, and it’d be submitted to General Tokugawa. The information would later on become the important source for Japan to know about the rest of the world (Figure 2). Figure 2: Dutch Trading House (part). Early 18th century. Attributed Watanabe Shuseki scroll. Kobe City Museum. “Medicine” is a core subject in the development of Rangaku, and translators had also held an influential position in the development of medicine. Many books relied heavily on the translators, such as “Dutch Anatomical Charts” (Figure 3, Figure 4), which was translated by Motogi Shodayu. He was helping the Dutch doctor, Willem ten Rhijne (1647-1700), translate the medical books in Dutch into Japanese for the doctors who came to Nagasaki to study. 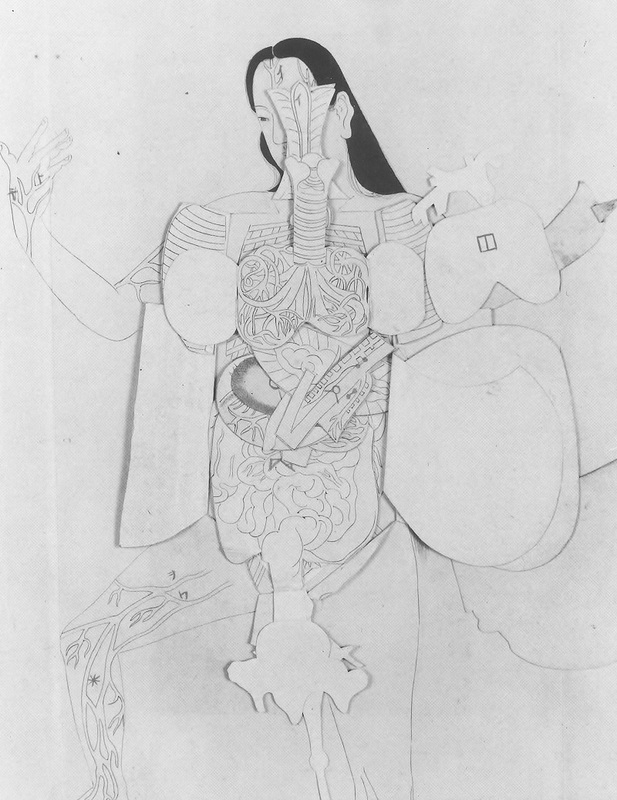 Figure 3: Anatomical drawing (female) by Sanshin Hara. Probably from “Dutch Anatomy Charts” (Motogi Shodayu). 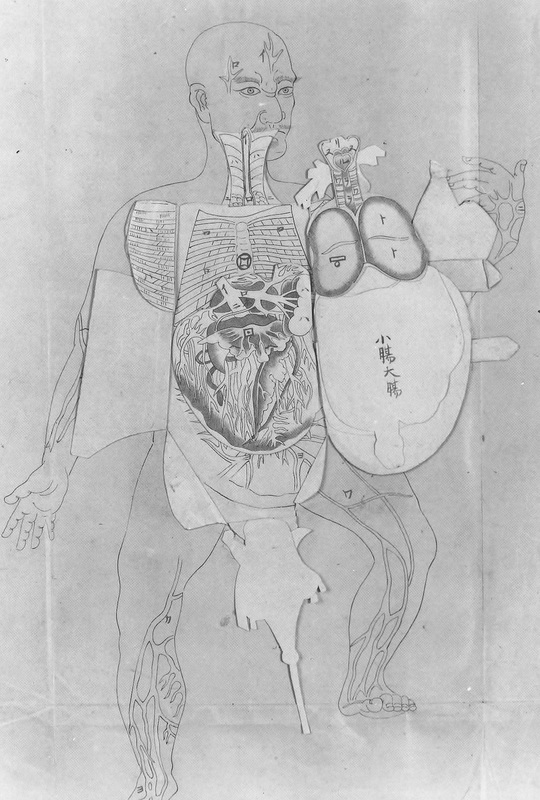 Figure 4: Anatomical drawing (male) by Sanshin Hara. Probably from “Dutch Anatomy Charts” (Motogi Shodayu). Other than medicine, only a handful of translators acted as the medium to the Dutch during the Sakoku period in Japan. They brought in the knowledge of medicine, botany, astronomy, calendar system, physics, and chemistry from Europe, providing the related knowledge to the intellectuals in Edo (Tokyo) and Kyoto. At the end of Tokugawa Bakufu reign, the government asked the translators in Nagasaki to study Russian, English and even French to broaden the knowledge of western learning, and they even dispatched diplomatic envoys to visit the United States, Europe and Russia. The concept of “museum” had also been introduced during this period. As the envoy translator, Gohachiro Namura (1826-1876) visited the Washington D.C. with Japanese envoys. Seeing the places where various artifacts were stored for the first time, he translated the place as “museum” in his notes. The translation “museum” was adopted by the renowned Japanese contemporary educator, Yukichi Fukuzawa (1835-1901). In “Things Western” that was published in 1866, “museum” was introduced as “a place to collect and exhibit the objects, artifacts and treasures around the world for the purpose of broadens one’s knowledge” (Yukichi Fukuzawa, 1870). As “Things Western” became one of the best-selling books back then, the term “museum” and its concept had gradually prevailed in Japan, and it has also been adopted by countries in Chinese character system to this day. The historical data on “Rangaku” has become a piece of crucial evidence of the communication between Japan and the western world. The data is kept separately at several locations, which also includes museums, such as “Kobe City Museum”, “Nagasaki Museum of History and Culture” and “Tsuyama Archives of Western Learning”. Kobe City Museum was established in 1982, combined by Kobe City Nanman Art Museum and Kobe City Archaeological Museum, and dedicated to researching, studying, collecting archeology and historical information, Naban Art7 that concerns cultural interaction, and ancient map data, presenting the versatile culture traits and cultural interaction scene in Kobe. The historical data of “Rangaku” during Edo period is also considered as the evidence of the cultural interaction, which is kept in the museum. Among the collection, the first translation of “Kaitai Shinsho” from Dutch, which was published in 1774, was included. And the collection also includes astronomy related data and atlas, such as “The Note of Stargazing Atlas in Quadrant”, which is a book introducing western astronomy and geographical knowledge, and also papers relating to trading. The uniqueness of Nagasaki Museum of History and Culture is that the museum reconstructed the relics of “Nagasaki Magistrate’s Office” during Edo period at the location (Nagasaki Education Committee, 1998). At that time, Nagasaki Magistrate’s Office was located at a place where was under the direct jurisdiction of the Shogunate. The officials, who were in charge of the local political matters, weren’t only responsible for the administrative and judicial matters, but also handled diplomatic and trading matters, managing the commercial center, Dejima. Therefore, the relic of “Nagasaki Magistrate’s Office” has become the connection between the audience and Edo period in the museum. The museum also organizes the staging of smuggler trial to bring the audience back to the Edo period. The museum positions itself as “the museum of overseas interaction history”. Its exhibits are simply restricted to the historical data and artistic artifacts of the interaction between Japan and Naban, Korea and China. The museum even establishes the permanent exhibition of “Connecting with the Netherlands”, showing how the translators and employees of Dutch trading post conducted artifacts business and information sharing on Dejima. Unlike “Kobe City Museum” and “Nagasaki Museum of History and Culture” that are located around port areas, Tsuyama Archives of Western Learning, as the inevitable path for western culture to enter Japan, is located at the north of Okayama county, which is an inland area 200 kilometers from Hiroshima. Why would an archives of Western Learning be placed in a place where is as remote as Tsuyama? It turned out that the local han governor would take in the Rabgaku scholars or doctors in Edo as the han doctors. The han doctors in Tsuyama would follow the han governors to Edo to finish tasks for Shogunate generals, and also absorb the air of new cultures in Edo. There was a prestigious Rangaku scholar family called the Genzuis in Tsuyama area. From Udagawa Genzui (1755-1797), his foster son Udagawa Genshin (1769-1834), and Udagawa’s foster son Udagawa Yoan (1798-1846), these were all deeply influential Rangaku scholars on medicine, anatomy, chemistry, and other western learning. Later on, Mitsukuri Genpo (1799-1863) and Mitsukuri Shogo (1821-1846) both translated various western academic publications and drew world maps. Han schools were also founded in Tsuyama area, added the fact that Rangaku was greatly encouraged by Tsuyama han, there were plenty brilliant scholars during Meiji period. Therefore, the archive was located in Tsuyama, and the name has also gradually changed from Rangaku to western learning as the time went by and expanded sources of knowledge. Connected with the acclaimed scholars of “western learning” in Tsuyama area, the archive sets out to introduce the lives and history of these scholars, and how they expanded the influence of western learning. During the Sakoku period in Japan, “Rangaku” had opened up a gate for interaction between Japan and the western world. And for “Oranda translators” and many fine fellow translators afterwards, they’d been the essential part in the introduction and interpretation of western learning, and also spreading the knowledge. They didn’t just help the Dutch translate foreign publications; many of them also become Rangaku scholars themselves, urging to start a conversation between western learning and Japanese culture. The concept of “museum” has also been introduced into Japan through the process of cultural interaction, becoming a symbol of modernization and civilization to the general public. However, in the museums that exhibit Rangaku, western learning and history, the concept of “modernization” hasn’t been continued. Instead, Rangaku and western learning have been considered as the evidence of cultural interaction. Rangaku – Dutch learning. After Tokugawa Bakufu pacified “The Shimabara Rebellion” by the Catholics, he deported the Catholic Portuguese and Spanish, and only the Protestant Dutch could do business with Japan. The knowledge gained via interacting with the Dutch was called “Rangaku” in general. Translator – The hereditary translating official in Edo period. They assisted the administrative to communicate with foreigners, gathering information from overseas and helping to translate the western academic publication. They were the important gateway for bringing in western knowledge. The Shimabara Rebellion – The officials in Shimabara han imposed various taxations and mandatory labor requirements on people, making them tremendously miserable. Therefore, a riot broke out from the commoners. They were led by a Catholic named Amakusa Shirō with the religious calling. There was even a rumor that the riot troop tried to convince Portugal to send armies to join the war. After the riot failed, religions were entirely banned by Tokugawa Bakufu, and the Portuguese and Spanish were also evicted. As the result, Japan thus entered the Sakoku period. Dejima – An artificial island within Nagasaki port, and functions as the designated treaty port between Japan and Netherland. After the isolation policy was enforced by Tokugawa Bakufu, Japanese were forbidden to make contacts with foreigners, and the Dutch could only conduct business on the island of Dejima. Magistrate’s Office – The official institute during Edo period, handling administration, judiciary, diplomacy and trading, etc. The magistrate’s office located in Nagasaki was also in charge of the trading matters on Dejima. Fusetsugaki – Information from overseas gathered by translators, and would be submitted to Tokugawa Bakufu periodically. It’s an important literature for Japan to get to know what happened overseas towards late Edo period. 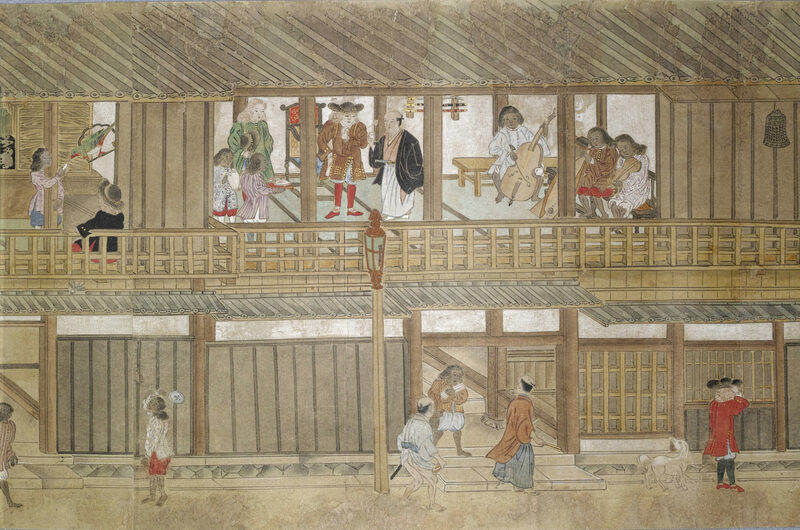 Nanban Art – Before the middle ages to modern times, Japan referred to Southeast Asia as “Nanban” and later referred to colonies, such as Portugal and Spain. A Japanese art work with Nanban theme or style is commonly known as “Nanban Art”. National Diet Library, Japan (2009). Japan- Netherlands Exchange in the Edo Period.